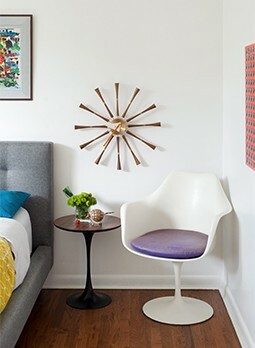 Show Joybird Your Digs and Bring That Midcentury Look Home...For Free! Step 2—Snap a photo of your current furniture. Step 3—Hashtag the post with #UpgradeMyFurniture. Submit as many photos as you want on as many social media profiles you want! Just make sure to get your photo in by October 31, when our very own Sarah Jane Stone will pick the winner! For more details on the #UpgradeMyFurniture contest, visit Joybird’s contest page! And stay tuned to our page for unique stories on how some midmod fanatics found their perfect piece with Joybird Furniture.